The Hanging Out Program, or HOP, is a program that I developed in 2007 while working in an adult day service. The program, on it’s simplest level, involves sitting down with a person with very severe disabilities and interacting with them. I suggest ten minutes. HOP involves writing down what happened, and using this is a way to continue to develop the interactions with the person. This may sound incredibly simple, and perhaps redundant, however I have found that it has the potential to improve the lives of the people we support for a number of reason. It is a way of getting to know people better, and can provide a foundation for any person centred planning. with people who don’t use speech. My research and interactions with disability support workers taught me that many support workers have great interaction skills. Many disability support workers do not need to be taught new communication; which is the focus of a lot of communication training. Instead they need to be given the permission to interact in ways that people respond to best, and celebrate the small, subtle, and often very idiosyncratic wins that they have in their interactions. They may need help to document the skills, or share their understanding with colleagues. 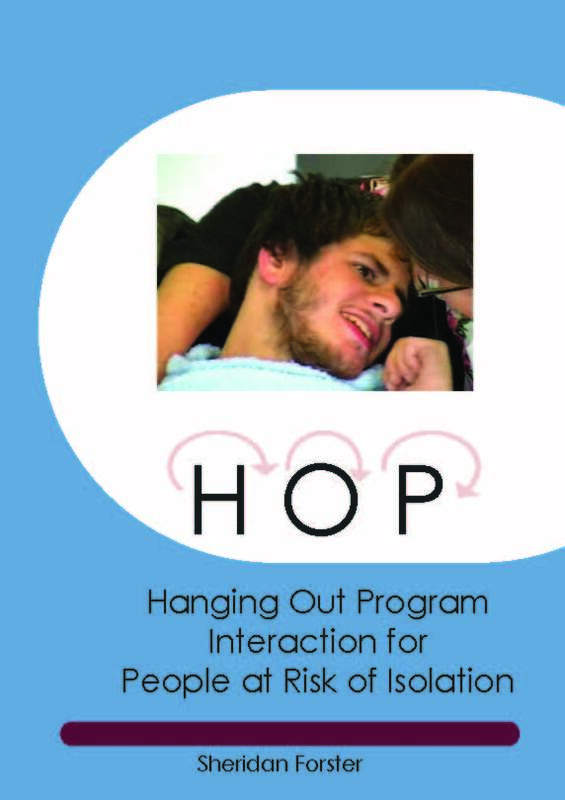 People can learn about HOP by reading the Hanging Out Program booklet. They can also learn about HOP by attending a HOP workshop.